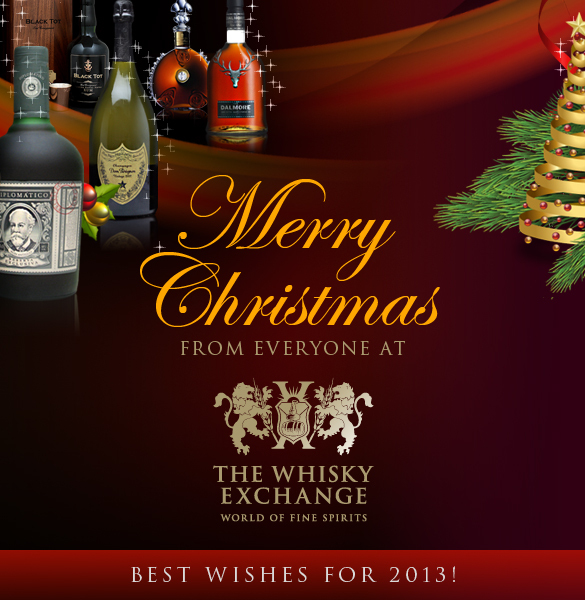 Home SPIRITS & LIQUEURS Other News Happy Christmas! No Comments on Happy Christmas! We know we’re a day early, but the office is now closing down for Christmas so we thought we’d put up a little something on the blog before we power down our PCs and turn off the lights. Firstly, many thanks to everyone who’s made this Christmas a busy one for us. We hope you enjoy the huge range of drinks and gifts that you’ve ordered. The phone lines will be open today to help with any last minute issues, but then head office will be closed until Thursday 27th December. The website will still be up and accepting orders, but we won’t be shipping anything until Thursday, so orders will be arriving again from Friday. The shop will be closing at 4pm today and they’ll be open again at 11am on Thursday. They will happily accept any left over mince pies you may have floating around if you want to pop down and say hello. Anyway, we hope you have a great couple of days of good company, tasty food and even better drink. See you all on the other side!